Meet Autonomo, the half-width autonomous car that just might foreshadow the next generation of personal mobility in crowded cities. Able to split a lane and equipped with object recognition sensors, Autonomo relies on the principles of swarm robotics to quickly move as many vehicles as possible in the smallest available space. 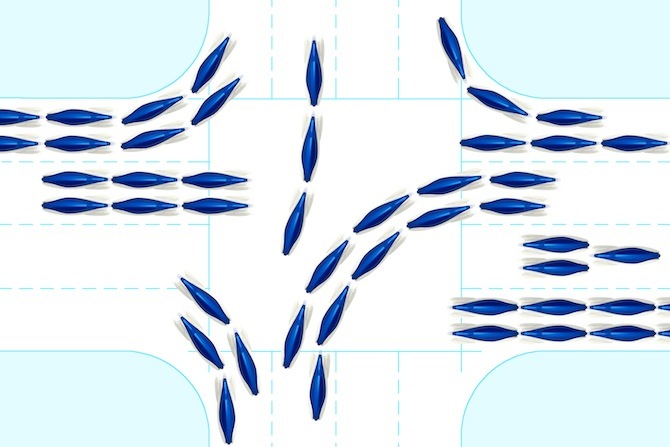 Like schools of fish, groups of Autonomos could quickly move in tandem to maximize free space on a highway. 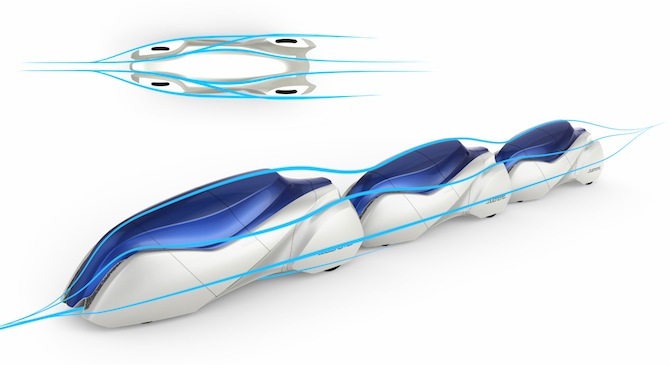 The project is the brainchild of Charles Rattray, a design student in Melbourne, Australia who first saw the need for a whole new kind of car after living in Los Angeles for five years. “While the city continues to grow in population, the congestion problem gets worse every year, hindering economic growth and exacerbating environmental and sustainability problems,” he said. Rattray has no illusions about how infrastructure would change to meet the requirements of a suddenly smaller vehicle, and doesn’t envision any special accommodations outside of dedicated lanes on the most congested roadways. That’s why he designed Autonomo to make the most of existing streets. Using object recognition, motion sensors and vehicle-to-vehicle (V2V) connectivity, each Autonomo can coexist with self-driven cars, trucks and bikes. “Every time it makes a decision to follow, change lanes or overtake it will take into account the performance characteristics of the vehicles around it,” he said. “The vehicle will constantly share those decisions will all other autonomous vehicles and work together to ensure safe efficient transport. That means a group of Autonomos would never swerve in front of an 18-wheeler that didn’t have enough time to brake. If object recognition were powerful enough, Rattray said the Autonomo could even ride on bike paths or walking trails, as it would be able to sense the presence of pedestrians or cyclists. While no automakers have approached him about bringing his design to life, Rattray said that Autonomo anticipates advances in so-called “road train” technology, where connected cars self-drive in closely-spaced “platoons.” Volvo and other European automakers have already begun tests of road trains, as part of an EU project that’s researching how to make the most of existing highways through V2V technology.